Zach Borenstein does not have any MLB stats for the season. Draft: 2011, Los Angeles Angels, 23rd rd. Zachary Jordan Borenstein graduated from Buffalo Grove (IL) High School...Played four years of baseball and two years of basketball...Named a Louisville Slugger Freshman All-American and a first-team Ohio Valley Conference All-Freshman team selection in 2009 while at Eastern Illinois University...Named a first-team Ohio Valley Conference selection in 2011. Batted .311 (28-90) with nine home runs and 28 RBI in 26 August games for Reno (AAA) of the Pacific Coast League...Went 7-10 (.700) with six runs scored, four home runs and 11 RBI in two games at Las Vegas from August 9-10...Went 4-5 with two homers and six RBI on August 9 and 3-5 with two homers and five RBI on August 10... Also knocked in five runs on June 19 vs. Las Vegas and July 6 vs. Tacoma...Had 26 multi-hit games (19, two-hit games, five, three-hit games and two, four-hit games)... Batted .200 (5-25) with three doubles and two RBI for Team Israel in the World Baseball Classic. March 8, 2019 LF Zach Borenstein assigned to Chicago Cubs. January 24, 2019 OF Zach Borenstein assigned to Iowa Cubs. January 11, 2019 Chicago Cubs signed free agent OF Zach Borenstein to a minor league contract. November 2, 2018 LF Zach Borenstein elected free agency. April 3, 2018 Zach Borenstein assigned to Las Vegas 51s. 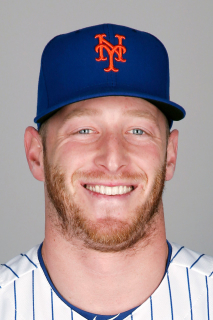 November 21, 2017 New York Mets signed free agent OF Zach Borenstein to a minor league contract and invited him to spring training. November 6, 2017 LF Zach Borenstein elected free agency. March 19, 2017 LF Zach Borenstein assigned to Arizona Diamondbacks. April 2, 2016 LF Zach Borenstein assigned to Reno Aces from Mobile BayBears. February 3, 2016 Arizona Diamondbacks invited non-roster LF Zach Borenstein to spring training. October 16, 2015 OF Zach Borenstein assigned to Aguilas Cibaenas. September 24, 2015 Mobile BayBears activated LF Zach Borenstein from the 7-day disabled list. August 22, 2015 Mobile BayBears placed LF Zach Borenstein on the 7-day disabled list. August 19, 2015 Mobile BayBears activated LF Zach Borenstein from the 7-day disabled list. August 11, 2015 Mobile BayBears placed LF Zach Borenstein on the 7-day disabled list. May 7, 2015 LF Zach Borenstein assigned to Mobile BayBears from Reno Aces. April 16, 2015 LF Zach Borenstein assigned to Reno Aces from Mobile BayBears. April 6, 2015 LF Zach Borenstein assigned to Mobile BayBears from Reno Aces. March 8, 2015 OF Zach Borenstein assigned to Arizona Diamondbacks. August 1, 2014 LF Zach Borenstein assigned to Reno Aces from Mobile BayBears. July 5, 2014 Los Angeles Angels traded RHP Joey Krehbiel and OF Zach Borenstein to Arizona Diamondbacks for LHP Joe Thatcher and CF Tony Campana. July 5, 2014 LF Zach Borenstein assigned to Mobile BayBears. July 1, 2014 LF Zach Borenstein assigned to Arkansas Travelers from Salt Lake Bees. May 25, 2014 LF Zach Borenstein assigned to Salt Lake Bees from Arkansas Travelers. March 27, 2014 LF Zach Borenstein assigned to Arkansas Travelers from Inland Empire 66ers. January 14, 2014 Zach Borenstein assigned to Los Angeles Angels. July 10, 2013 Inland Empire 66ers activated LF Zach Borenstein from the 7-day disabled list. April 2, 2013 LF Zach Borenstein assigned to Inland Empire 66ers from Burlington Bees. March 24, 2013 OF Zach Borenstein assigned to Los Angeles Angels. June 6, 2012 OF Zach Borenstein assigned to Cedar Rapids Kernels from AZL Angels. June 20, 2011 Zach Borenstein assigned to AZL Angels from Los Angeles Angels. June 19, 2011 Los Angeles Angels signed OF Zach Borenstein.